The charge stream vent mount delivers up to 10W of power to all Qi‑enabled smartphones and works with virtually any model, regardless of size. 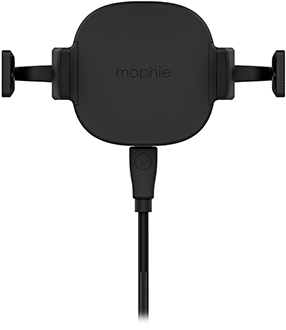 Optimized for Apple and Samsung Fast Charge, the vent mount charges your smartphone at the fastest speed it can handle. 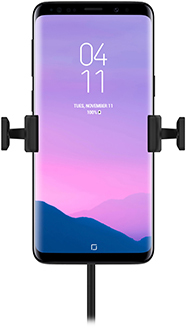 Adjustable inner arms hold your phone securely, while fixed outer arms provide leverage so you can insert or remove your smartphone using one hand. 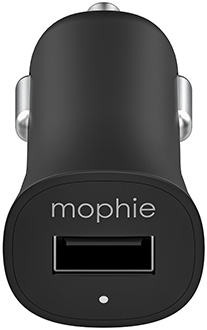 Your phone remains fully functional while it charges, enabling hands-free calls and making GPS directions easier to follow. There’s no need for you to remove your phone from its case to charge it. The vent mount can deliver a charge through cases up to 3mm thick. A rubberized surface provides a non‑slip grip and protection from scratches. It also keeps your phone in place to maintain a connection while charging.